Every year, thousands of teenagers and mature adults consider applying to study Biology at university. There are hundreds of different universities around the world that are offering Biology or Biological Sciences courses, each with their own merits. Each potential student must consider their choice of university based on personal preferences and their own academic abilities. Although some courses may be ranked more highly according to international university ranking systems, the university which is ranked best may not necessarily be right for an individual student. Here is a list of the top 5 universities in the world for Biology and Biological Sciences, based on the QS World University Rankings. These rankings are based on academic reputation of the institution, employer ranking and the citability of papers produced by relevant departments. 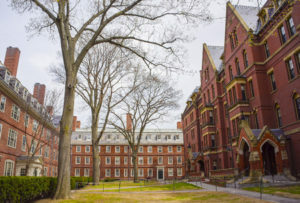 Harvard University is based in Cambridge, Massachusetts in the USA and is part of the Ivy League group of universities. There are a wide range of different biological degrees available to choose from, spread across a number of specialist departments. Departments that offer biological courses include; Stem Cell and Regenerative Biology, Cell Biology, Life Sciences, Human Evolutionary Biology, Neurobiology, Human Development and Regenerative Biology, and Organismic and Evolutionary Biology. Also Harvard University is noted one of the best in the world. Potential candidates are advised to speak to a representative from the Life Sciences department to find out more about the admissions process. The University of Cambridge is based in Cambridge in the United Kingdom. Founded in 1209, Cambridge is the second oldest university in the UK and the fourth oldest surviving university in the world. The Faculty of Biology offers three major courses to undergraduates; Natural Sciences; Medicine and Veterinary Sciences; and Psychological and Behavioural Sciences. Graduate opportunities include Masters and Doctoral studies courses in a variety of medical specialisms, including; oncology, epidemiology, haematology, human nutrition and paediatrics. There are also a range of animal and plant specialisms available at graduate level. MIT is another university which is based in Cambridge, Massachusetts in the United States. The university was initially dedicated to sciences and engineering subjects, in the hope that graduates would be able to further the industrialization of the US. Students wishing to major (or minor) in Biology can take a number of different Biological Sciences courses as part of their degree, including; Computational Biology; Experimental Biology; Evolutionary Biology; Cellular and Molecular Neurobiology; Biotechnology; and Principles of Chemical Biology. The biology department regularly runs guest seminars with some of the world’s leading biologists. The University of Oxford is the oldest university in the United Kingdom. The Biological Sciences course at the university is taught jointly by the Plant Sciences department and the Zoology department. This allows students to develop their own interests in different areas of biology as the course progresses. The university has global links which allow students the opportunity to take a field trip to Borneo during the first year of their course. Modules include; Infectious Disease Control; Biodiversity Survey and Analysis; and Plant Adaptations. Stanford University is based in Stanford, California in the United States. It is one of the largest campus universities in America. The biology department is well known for taking an academic interest in a wide range of different biological fields, including; Biochemistry; Biophysics, Computational Biology; Conservation Biology; Ecology; Evolution; Genetics; Marine Biology; Microbiology; Neurobiology; Physiology; Plant Biology; and Population Biology. Undergraduates in biology are offered the opportunity to take a range of different modules from this array of specialisms. Visiting professors may also offer further opportunities to undergraduates.